You asked for it, you got it: an interview for the job of your dreams. During a formal lunch. Unfortunately, you can't stop the nightmares about all the things that could go wrong while trying to present your best self during a meal. Interviews are stressful enough, even when there's a one-on-one situation and nothing to distract you from being a calm, focused professional. But add to the mix a host of people, noise, menu choices, and props other than your note cards, and you just might regress back to a nervous teenager on your first date. The good news is, with a little preparation, it is possible to make a good impression. "Most mistakes are avoidable," said Cheri Butler, former president of the National Career Development Association and a National Certified Career Counselor in private practice. Limit your chances of making them by brushing up on your dining etiquette and social skills. The last thing you want to do is be the one who throws everyone else off at the table by using the wrong glass or butter plate. “But if someone else does it, just make due,” she added. “Don't call them out on it because you may come across as rude." Here are a few pointers to master the table settings. Utensils are placed in the order you will use them. When you see two or three forks, start with the outside and work toward the plate with each course. Your drinking glasses will be on your right and your bread/butter plate will be to your left. When finished with your meal the fork and knife are placed with the tips pointing to the 10 O’clock position and the handles in the 4 O’clock position, slightly off the plate. During mealtime place the napkin in your lap. And as clean as it may look, it is meant to get dirty. Use it. If your napkin falls within reach pick it up. If you have to search around under the table, just ask for a new one. If you need to leave the table, place the napkin over your chair. When you finish eating, place it neatly to the left of your plate. If you are a visual learner, it is worth your time to visit emilypost.com or marthastewart.com and take a look at images of place settings. It’s easy to get caught up in the dining experience, but remember that you are there because you are interviewing for a job. Your future employer wants to know that you can be charming and professional when dealing with clients, customers and colleagues in public. Follow these tips to master the social graces needed to stand out among your competitors. Always dress in business attire regardless of the time of day or day of the week the interview is held. It isn’t likely to be on a weekend, but if it is, don’t go casual. Check out the menu online and pick two or three meals just in case you change your mind or they run out of something you want. This may seem trivial, but you don’t want to come across as indecisive by taking too much time ordering your food. Know what your interviewer looks like. Get online and search for an image on the company web site or LinkedIn so you will know who you are looking for when you arrive. Engage your interviewer in a professional two-way conversation rather than having a simple Q&A session. Avoid controversial topics like religion or politics unless the job is related to them (working for a religious institution or a political campaign). And even then, keep the focus on the skills you bring to the table (pun intended). “Be sure to share the knowledge you gained about the company on its website or through networking,” Butler said. Don’t bring to the table your cell phone, keys or purse. Turn off the phone and put it away so you aren’t tempted to text, take pictures of your food or answer the phone. Wear a watch so you don’t have to peek at the phone’s clock. And women, don’t apply make-up, groom your hair or look in the mirror while seated at the table. Practice, practice, practice, just as you would for any interview. For good measure, go one step further and have a trial run at a restaurant with a friend or colleague if you rarely eat out in social or professional situations. Finally, your host is paying the bill so don’t offer to pay and don’t ask for a doggy bag no matter what is left on your plate. 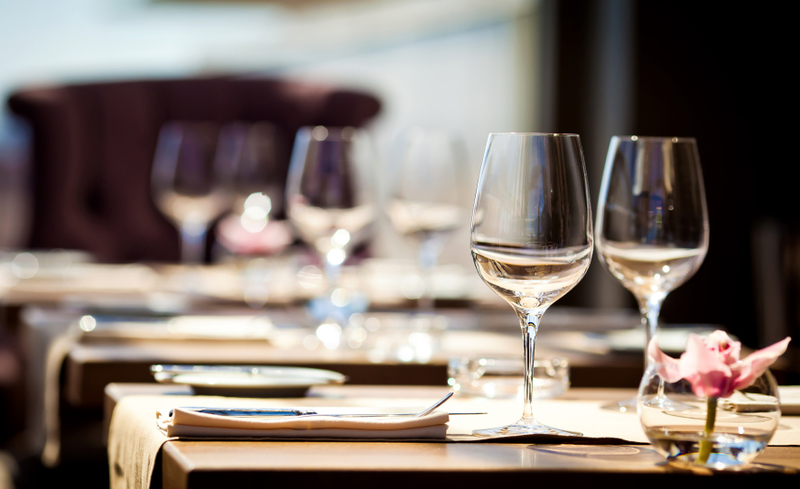 By following simple dining etiquette and mastering your social skills you can come across as the consummate professional.